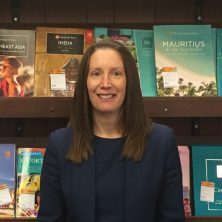 Alison began working in the travel industry at the age of 16, after she finished her school education. She built up experience working for a number of travel agencies in the local area before starting her own company, Mike Stuart Travel. Another valuable member of our travel sales team is Joanne Higham. She has worked in the industry for over 23 years, which makes her one of the most experienced members of Mike Stuart Travel. Helen’s 15 years of experience in the travel sector give her an advantage over the majority of other travel agents. Her friendly approach has made her extremely popular with our customers and many ask for her personally when they return to book their next holiday.